The VapoDri Training Tee has been designed to be a great casual shirt, which its simple, elegant design and comfortable 100% polyester make. It also features all the sportswear know-how of Canterbury – including VapoDri technology - making it ideal for training. 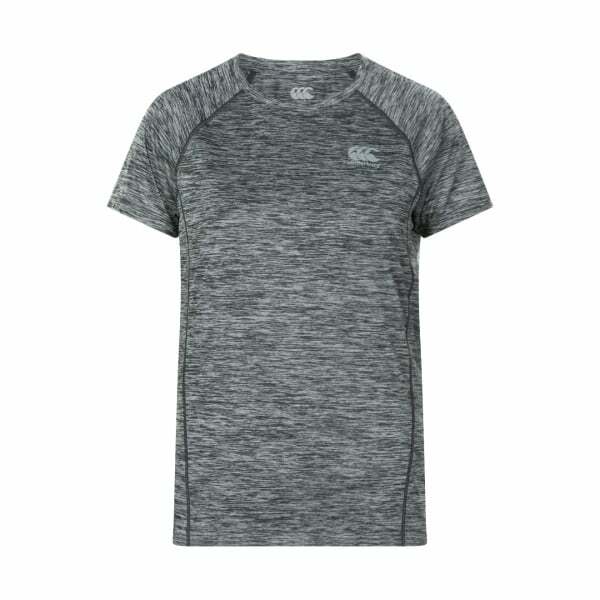 If you’re looking for a simple, but highly effective training tee, then you’ve come to the right place. The VapoDri Training Tee is a comfortable all-day casual shirt option, but equally, it’s going to help you perform your best in training. VapoDri is Canterbury’s leading sportswear technology – it helps you train harder for longer by absorbing moisture off the body and then evaporating it quickly to help maintain comfort levels and keep the body cool. In addition, this shirt is manufactured from a premium 100% polyester fabric, which is lightweight and very comfortable to wear. The shirt comes in sizes 6 through to 18.